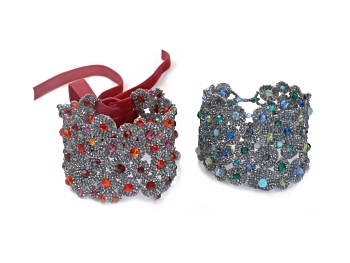 Play around with seed beads, crystals and your own creativity with these freeform cuffs. If you've never strayed from the beading path before, then these step-by-step instructions may be just the project to tempt you. This complete 9 page step-by-step tutorial contains all the instructions and photos you will need to make your own cuffs. A basic knowledge of brick stitch may help you in beading these cuffs but isn't essential as the instructions are detailed.